Agape Outreach Homes continues to provide mental health housing and services in our community. The need for these types of services has increased and so have the costs. If able, we ask for your helping by donating monetarily. Any amount is helpful. No donation is to small and it will help us continue to bring quality housing and services to those in need. Thank you for your support! Every year, Kroger asks individuals to re-enroll in the community rewards program which can benefit non-profits like Agape Outreach Homes. The way it works is that you register your Kroger Plus Card at www.krogercommunityrewards.com (you will need Agape's NPO number - QU478). Every time an enrolled member shops at Kroger using their Kroger Plus Card, Agape Outreach Homes earns rewards. Every quarter Kroger will send a check to Agape Outreach Homes. Below are some instructions. This is a simple way to make a big difference for our residents. Please consider helping us! 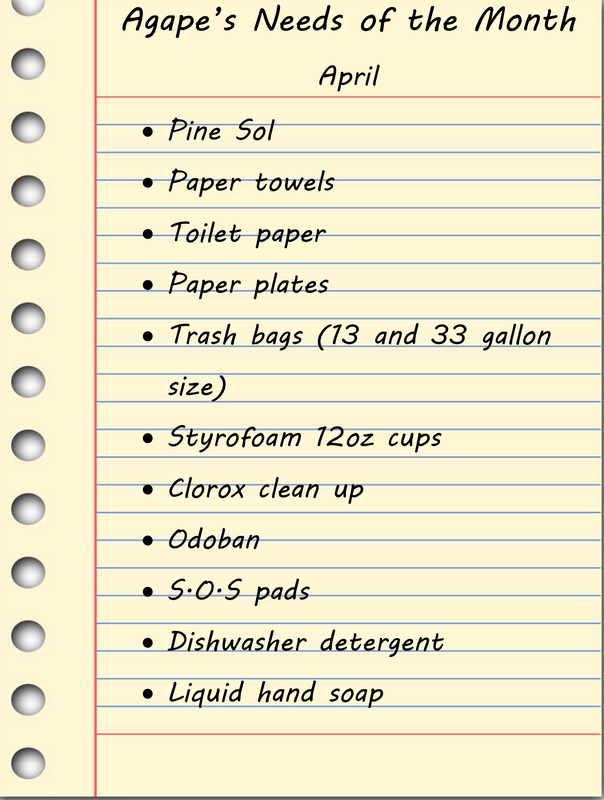 *Any donations can be delivered between 8am and 6pm at 5403 Jacksboro Pike, Knoxville, TN 37918. For pick up or if you have any questions, please contact Agape’s office at 865-689-4871. We do accept items that are not listed here. We are always in need of help with numerous projects, staffing fundraisers and everyday tasks. You may have a certain skill or trade that can make a major impact. If you would like to volunteer some time, please call 865-689-4871 or contact us here.